At the age of just 24, new Maccabi NSW board member for marketing, Daniella Drutman is helping to drive the cause of young people looking to take up elevated positions in the organisation. Despite her relatively young age, Drutman brings a wealth of experience to her new role as well as the obvious perks of her youthfulness and enthusiasm. Having joined Maccabi at the age of just seven, with involvement in the now defunct Northside Netball Club, Drutman has a very clear understanding of the inner workings of the organisation and has moved steadily up the ranks throughout the years. 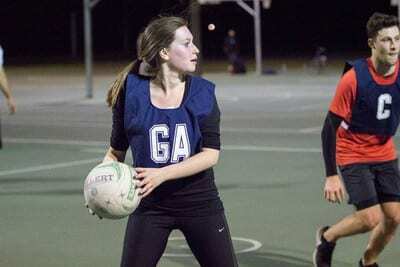 She has coached, umpired and played netball and has been a key driving force behind the new and thriving Maccabi social mixed netball competition which, with already over 100 members, is continuing to showcase the impact youth can make in the traditionally senior-dominated Maccabi landscape. Drutman believes her position on the board can help her give something back to an organisation which has been a platform for the making of new friends and quality sporting memories, for her personally. She believes all Jewish young people should have the opportunity to enjoy the experiences she has valued so dearly had while in the ranks of Maccabi. When quizzed on what she brings to the Maccabi NSW board, Drutman’s response really solidified the value of youth to the upper hierarchy of the organisation. “I bring an attitude of doing, that the things we say we want to achieve we get done,” she said. Drutman’s goals moving forward are very online-based and should see Maccabi become a considerably larger social media presence during her tenure. Professionally, she has a background in sport and digital marketing. Her day job involves strategy devising strategy for one of Australia’s sporting greats– a role which more than equips her for her board position despite her lack of years. Expect to see Maccabi NSW considerably more active on your Facebook feed and in turn hopefully club membership increase as Drutman works hard behind the scenes to improve the organisation she is so passionate about.